Home › Community › AASL National Conference & Exhibiton › Two Heads are Better Than One: Share the Conference Fun with an Administrator from Your School – For Free! Two Heads are Better Than One: Share the Conference Fun with an Administrator from Your School – For Free! Do you know that amped-up, electric feeling you get during an amazing conference, so excited to take back the tools and strategies you are learning and try them out in your own schools? 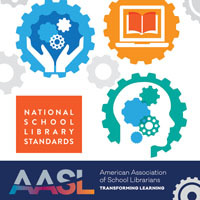 AASL is offering the chance for school librarians to share that excitement and experience with their school administrator for free. Invite your administrator to attend this year’s conference with you, so you can both return to school energized and inspired to impact student success, with the school library playing a central role. Nearly every school librarian has experienced, at some point or another, the feeling that no one else in our building truly gets what it is we do, or are capable of doing, if only given the opportunity. We are consistently working to establish our partnerships, collaborations, and advocates one powerful conversation at a time during the important work we do every day. Invite your school administrator to attend this year’s conference with you for free and help them see that teacher librarians are speaking their language: Student Success. 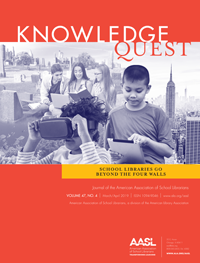 Use this opportunity to demonstrate to your administrator how your school library and you, its teacher librarian, can be instrumental resources in the success of your schoolwide initiatives. It’s FREE for the administrator! In these days of dwindling Professional Development funds, all educators are looking for reasonably-priced, high-quality training. This is your district’s way to get two educators to a conference for the price of one. 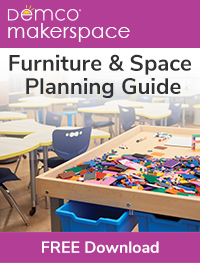 AASL’s Conference Planning Committee has carefully planned this year’s schedule to ensure there are offerings during every time slot that appeal to both school administrators and teacher librarians. We have topnotch speakers lined up for the keynotes and general sessions including Heidi Hayes Jacobs from Curriculum Mapping Institute, a panel of award-winning superintendents from Project Connect, award-winning author and illustrator, Brian Selznick, and Eszter Hargittai presenting research on the social and policy-implications for the uses of digital media with our students. Not sure your administrator will go for it? Well, it all starts with the invitation. The worst they can do is say no, but at the very least, you have then started the conversation about the fresh new ideas and resources you will be learning about at conference, helping them see you for the educator you are. Advocacy happens one conversation at a time. Use this year’s conference to spark a powerful conversation with your school administrator and create an advocate forever! Presenting “Guided Inquiry: Motivate Students to Dig Deeper” on Saturday, November 8 at 2:10 pm.